Lydia joined the milk program in 2018. Her mother had died shortly after the baby’s birth. Lydia’s maternal grandmother (a widow in her late 60’s) was living alone and was already raising Lydia’s 6 year old orphaned cousin. The grandmother had no access to a nurse-maid and no means to purchase formula, but she desperately wanted to raise Lydia in her home and keep her fractured family together. 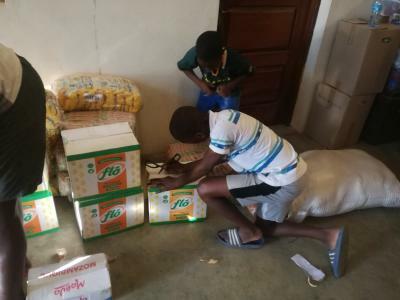 Because of your generosity, this grandmother brings Lydia to the Zimpeto base every two weeks so the baby can receive a wellness check-up, infant formula, all instructions and medications as necessary, all with love, prayer and encouragement. Lydia’s cousin accompanies them to the clinic and lovingly dotes on the baby and helps his grandmother as much as he can with Lydia’s care. Through the tragedy and sadness of death and brokenness this family has been able to stay together, love each other, and gain strength and joy from one another. A mosaic of a family richly blessed. Then he will say, ‘Keep building! Keep building! Clear the way! Remove everything blocking my people’s path!’ For thus says the High, Exalted One who lives forever, whose name is Holy: ‘I live in the high and holy place but also with the broken and humble, in order to revive the spirit of the humble and revive the hearts of the broken ones.’ Isaiah 57:14-15. Three years ago a family of four orphaned children (ages 8, 10 and 12 – the older two are twin brother and sister) were reintegrated into a house we built on their grandmother’s land. 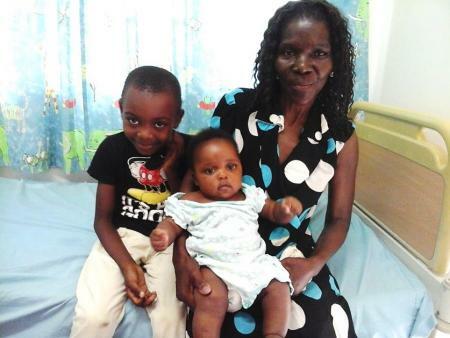 The children had been at the centre for four years and were anxious to be able to live with their grandmother. Against the advice of social welfare, we placed all four children into the home with the intent to support the family unit until such time they could provide for themselves. In addition to other support mechanisms they were eligible to receive a double food box each two weeks, provided by funds from IMC. 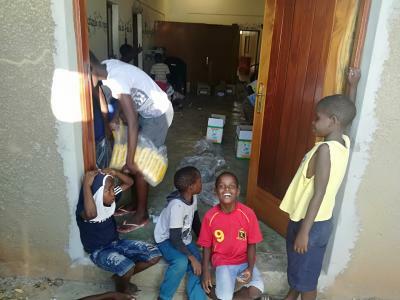 The food box enabled the grandmother to receive the children into the home. Over the last three years the family has slowly been empowered to find ways to generate income. The older twin girl is part of the sewing program and sells her products, and the older twin brother works in the gardens at the centre; both which contribute to the household finances. The grandmother has created a small business selling donated clothes the centre cannot use. In 2018 the double food box was reduced to one every two weeks. 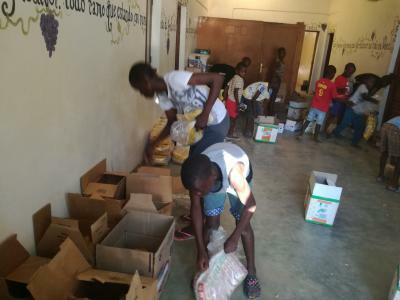 Although empowering families to break the cycle of poverty is slow, the IMC food box program plays an important part of the process. Thank you for your continued support as we enable families to break the cycle of absolute poverty.